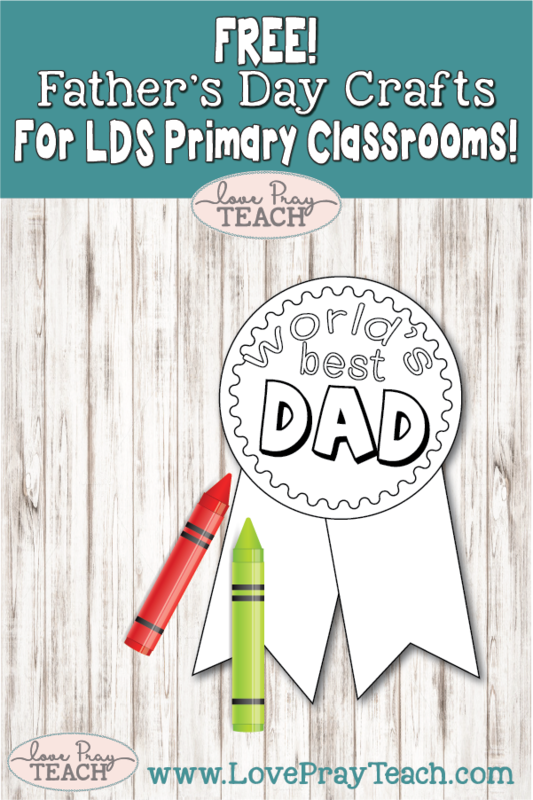 You are here: Home » Blog » Father's Day Crafts for the LDS Primary Classroom! 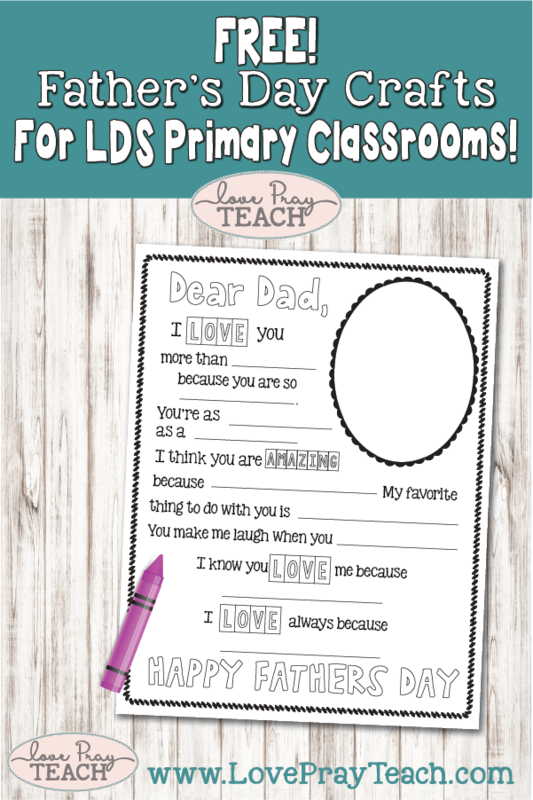 Are you teaching Primary this Father's Day? We have created some simple and cute printables that you can use for your classroom! Father's Day Badge - Cut out a badge for each child and let them color them! If you're feeling crafty, bring in glitter, stickers, or markers to let them decorate their badges. You could hot glue a safety pin to the back of each badge before class or punch a hole in the top and tie some ribbon through for a necklace. The Dad's in your Ward are going to be so proud to wear their badges that their cute little Sunbeam made for them! Madison has created two different cards for you to choose from! The first one, let the children cut out a tie and glue it to the "father" in their card. They they can decorate and color their cards for their dads! The next card will require paint. 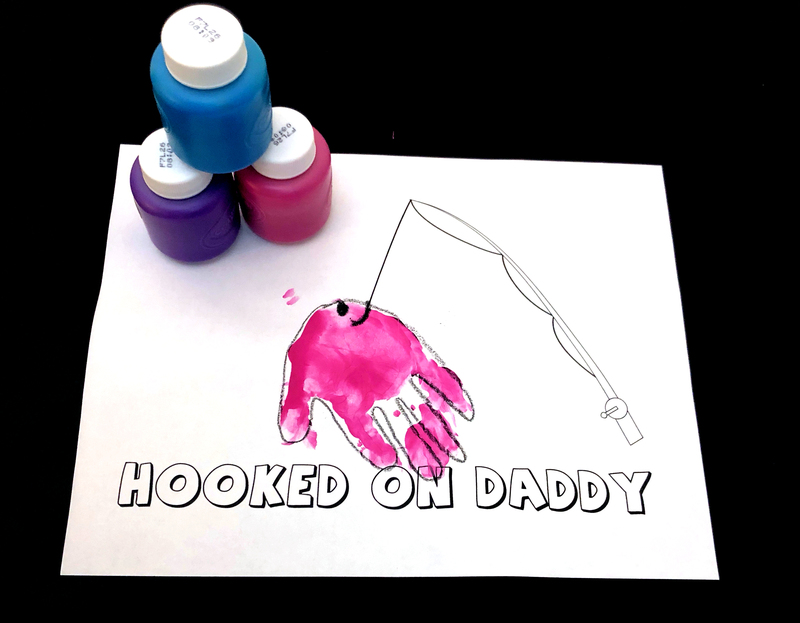 Have the children make a handprint at the end of the fishing pole with the paint! Stefanie has created a fun little fill-in-the-blank worksheet! 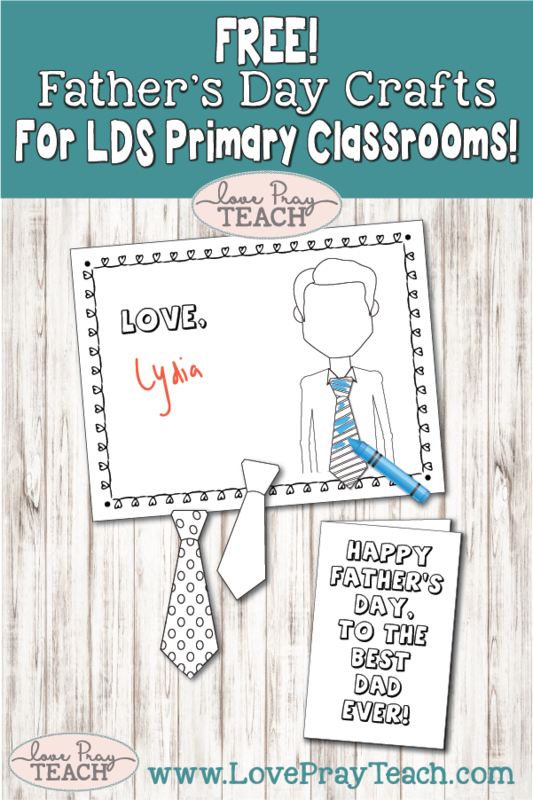 Encourage the kiddos to color a picture of their dad in the oval frame! 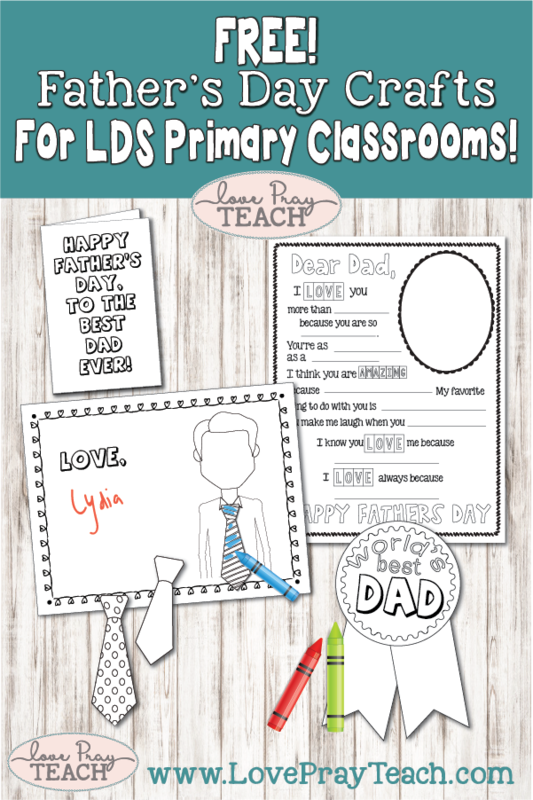 We hope you enjoy these free printables for Father's Day! If you like our ideas, please share on Pinterest!